ZIMBABWE Warriors' winger Kudakwashe Mahachi has reportedly signed for Sowetan giants Orlando Pirates and is expected to join his new teammates from Golden Arrows this week. 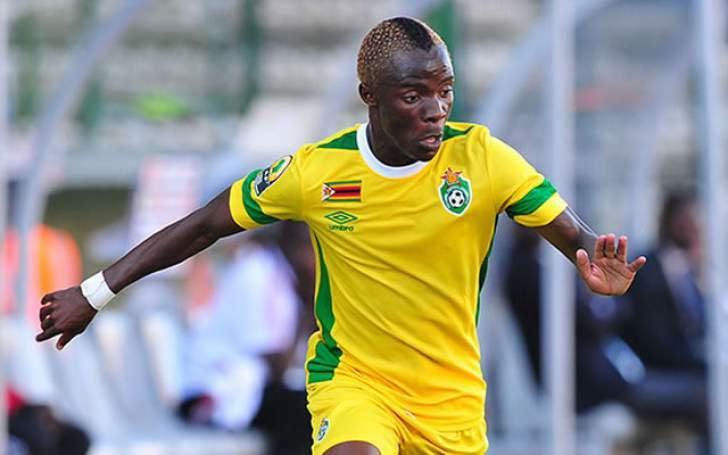 The 24-year-old dribbling wizard left Zimbabwe for South Africa under the Mamelodi Sundowns tag, but was later loaned out to Golden Arrows, who are also home to Knox Mutizwa, 2016 Zimbabwe Soccer Star of the Year Danny Phiri as well as Thomas Chideu. The Orlando Pirates' administrator Floyd Mbele could neither confirm nor deny the move. "The whole deal was kept under wraps. Mamelodi Sundowns took Oupa Manyisa from Pirates and offered them Mahachi but it was kept a secret. The boy will however join Orlando Pirates in January," said a source. Mahachi might make his Orlando Pirates debut on Saturday against Baroka FC, home to former FC Platinum winger Talent Chawapiwa. Meanwhile, another Warriors' player Tendai Ndoro has joined Ajax Cape Town on a two-year deal following an unsuccessful, but financially rewarding stint in Saudi Arabia where he played for Al Faisaly. Ndoro has now linked up with Muhsin Ertugral, whom he played under at Mpumalanga Black Aces. "Having a player of Tendai's magnitude and calibre on board for any coach is a massive boost, he is a great player and hopefully he can rise to the occasion. I am very excited to work with him once more in South Africa. He will be a very valuable player to any team and I am confident he will do very well for us. I am very, very pleased to have him at the club and I thank the club's management for making this a transfer happen," Ertugral is quoted by the club's official website. "He is the complete package, he has played overseas, performed for big clubs in the past and his experience will be a valuable asset. There are a lot of talented youngsters at the club and Ndoro will help them reach their potential. He is firing on all cylinders and hopefully we can get back to winning ways for our loyal supporters." Gritty ex-FC Platinum midfielder Gerald Takwara is also on the books of the Urban Warriors.